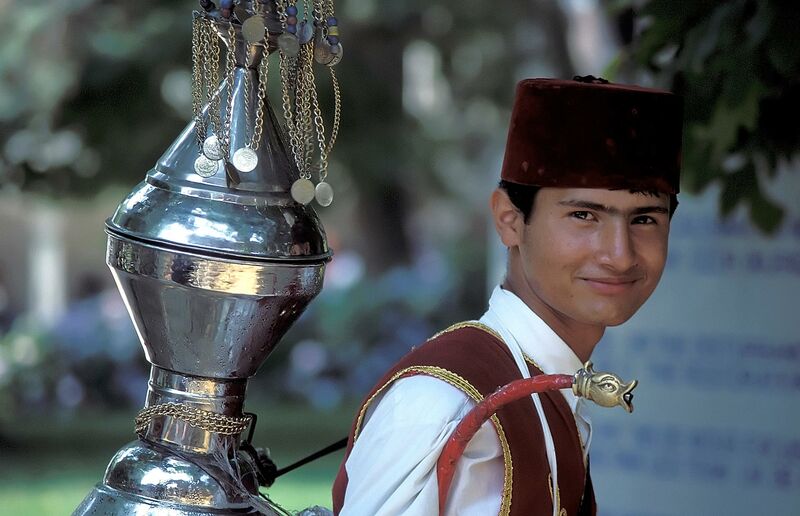 Turkey is the only country in the world that has an acatalectic mix of European, Asian and Middle Eastern cultures. 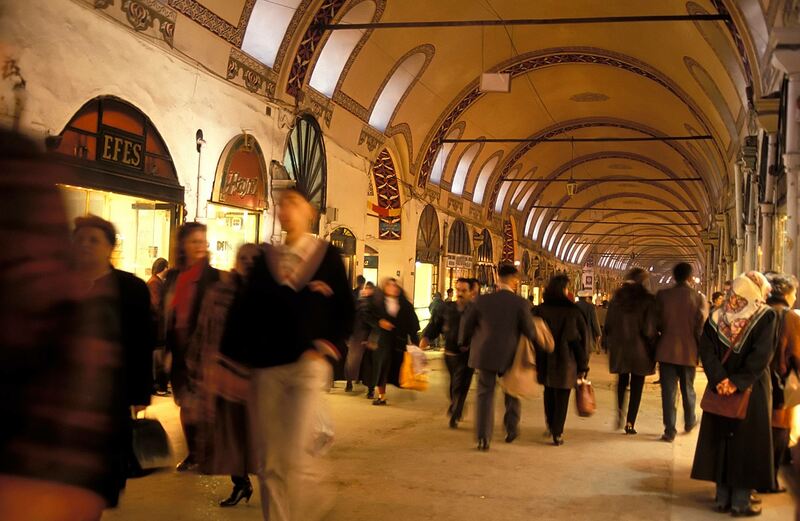 This journey captures the essence of Turkish culture and heritage: a delightful blend of art and ancient architecture. Arrive Ankara. We are met by our local representative and escorted to our hotel. Explore Ankara, the nation's capital since 1923. 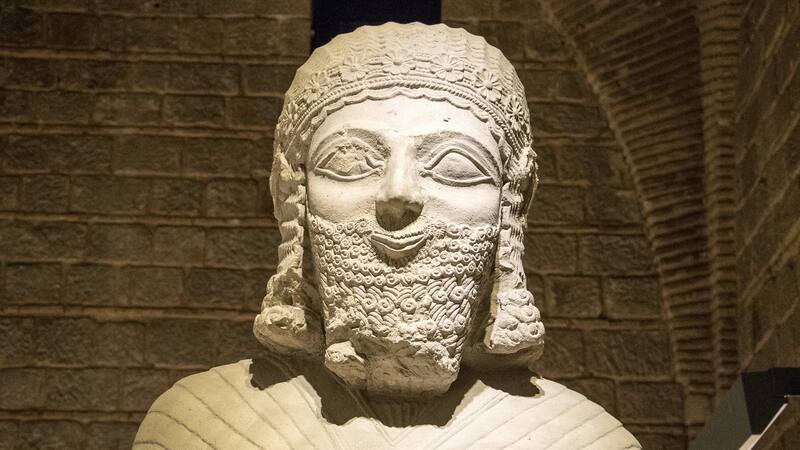 Visit the Museum of Anatolian Civilizations with its rich collection from the Hittite, Greek, Roman, Byzantine, Seljuk, and Ottoman periods; Arslanhane Mosque from 13th century; Ankara Citadel with its narrow streets; and the Mausoleum of Ataturk, the father of modern Turkey. In the afternoon we drive to Safranbolu*. From the 13th century to the advent of the railway in the early 20th century, Safranbolu was an important caravan station on the main East-West trade route. The Old Mosque, Old Bath and Süleyman Pasha Medrese were built in 1322. During its apogee in the 17th century, Safranbolu's architecture influenced urban development throughout much of the Ottoman Empire. Stroll this museum town to discover the Cinci Caravanserai, Kaymakamlar Kiosk, Izzet Pasha Mosque, Clock Tower, and Kazdaglioglu Mosque, as well as bazaars (blacksmiths and shoemakers). Lunch at the village of Yoruk, which is famous for its old houses. Drive to Amasya to see its impressive remains. Appreciate the special architectural features of old mansions (konak). Marvel at the Ancient Castle, the Pontic Kings' tombs, and Gok Medrese, as well as Torumtay Turbesi (Seljuk mausoleum with Mongol mummies). Visit the medieval mental hospital Ilhanli Bimarhane, and the beautifully landscaped Sultan Beyazit Mosque. Today we drive to Bogazkoy. After lunch, we visit Hattusha, the Hittite Capital*. The archaeological site of Hattusha, former capital of the Hittite Empire, is notable for its urban organization, the types of construction that have been preserved (temples, royal residences, fortifications), the rich ornamentation of the Lions' Gate and the Royal Gate, and the ensemble of rock art at Yazilikaya. The city enjoyed considerable influence in Anatolia and northern Syria in the 2nd millennium B.C. We explore the city's Lion Gate, Great Temple, Walls, Royal Gate, and Tunnel. Continue to Yazilikaya, a rock sanctuary decorated with reliefs of deities of the Hittite pantheon. 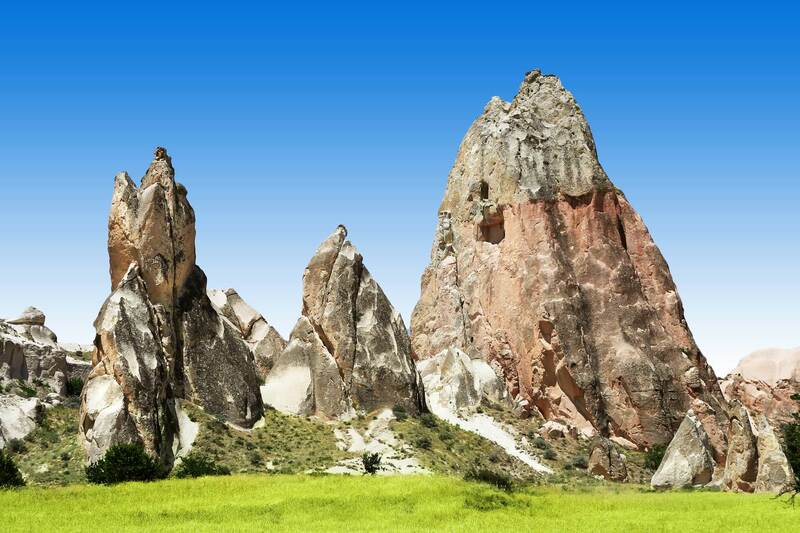 Continue to Cappadocia. 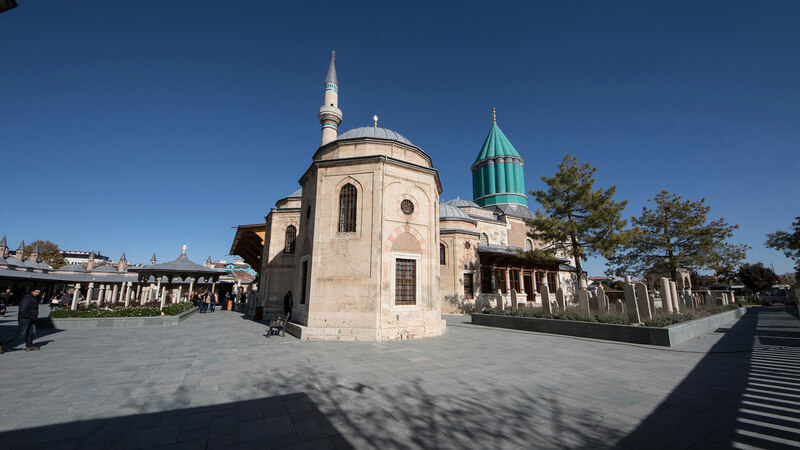 We drive to Konya and visit the Museum of Mevlana, honoring the famous mystic poet who founded the Sufi Order of the Whirling Dervishes. 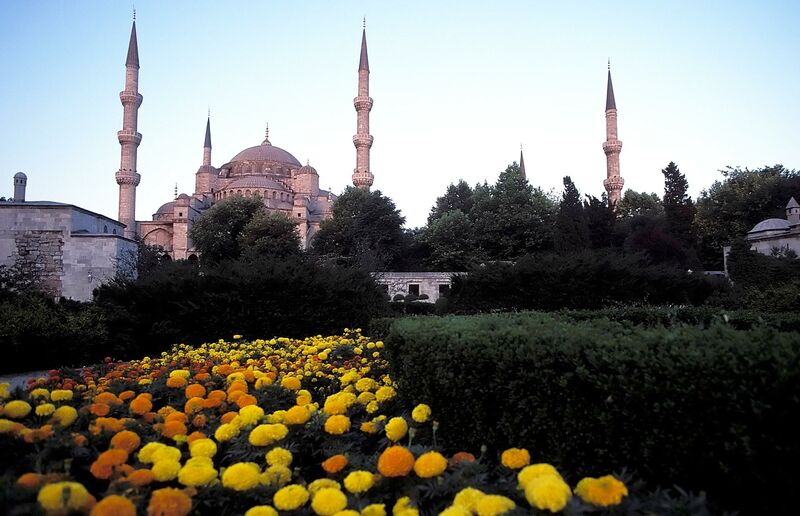 Visit Aladdin Mosque from the 13th century and Karatay Medresa, today a tile museum. 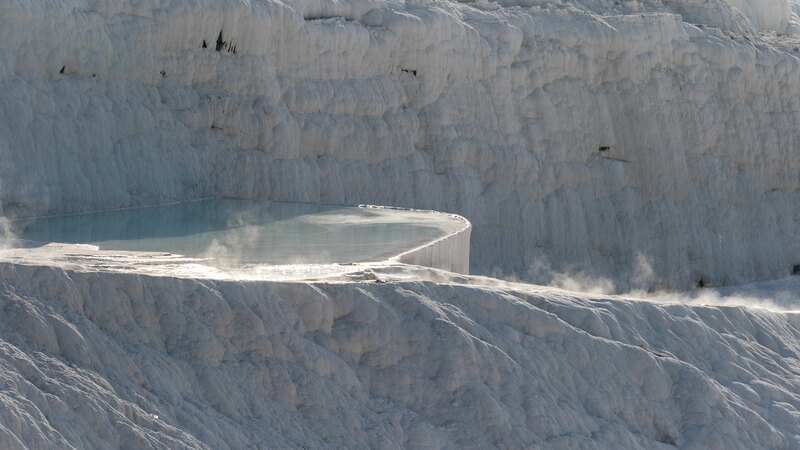 We drive to Pamukkale to admire the unreal landscape at the "Cotton Castle" with its white terraces of limestone deposited by thermal waters through the ages. We also see the ancient spa still used today at Hierapolis-Pamukale*. At the end of the 2nd century B.C. the dynasty of the Attalids, the kings of Pergamon, established the thermal spa of Hierapolis. The ruins of the baths, temples and other Greek monuments can be seen at the site. We tour Aphrodisias, the ancient site dedicated to the goddess of beauty, love, and fertility. 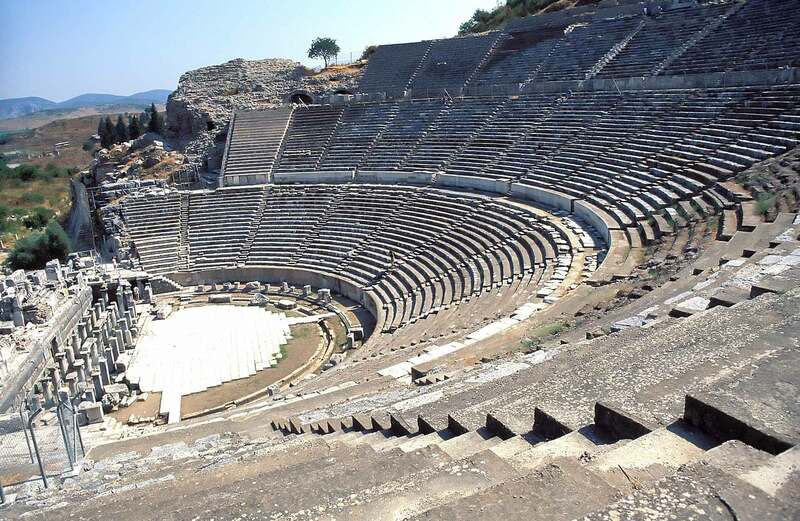 Appreciate Anatolia's best-preserved stadium. At this site, which drew artisans to its famous school of sculpture, we explore the Temple of Aphrodite, the Tetrapylon, the Theater and the Museum. After lunch we continue to Sagalassos, to visit the remains of this Greco-Roman city recently discovered. The site is exceptional for its natural beauty. We then drive to Antalya. Drive to ancient Myra to see stunning Lycian rock tombs in the cliff above the Roman Theater. At Demre, visit the Church of St. Nicholas. Take a boat ride over the sunken city of Kekova (weather permitting). After lunch we drive to Xanthos-Letoon*. This site, which was the capital of Lycia, illustrates the blending of Lycian traditions and Hellenic influence, especially in its funerary art. The epigraphic inscriptions are crucial for our understanding of the history of the Lycian people and their Indo-European language. From there we will take a boat ride following the Dalyan River to Caunos ancient city, all the way to Iztuzu Beach. After lunch, we continue to Selcuk (Ephesus). We travel to Sardis, capital of the Kingdom of Lydia. 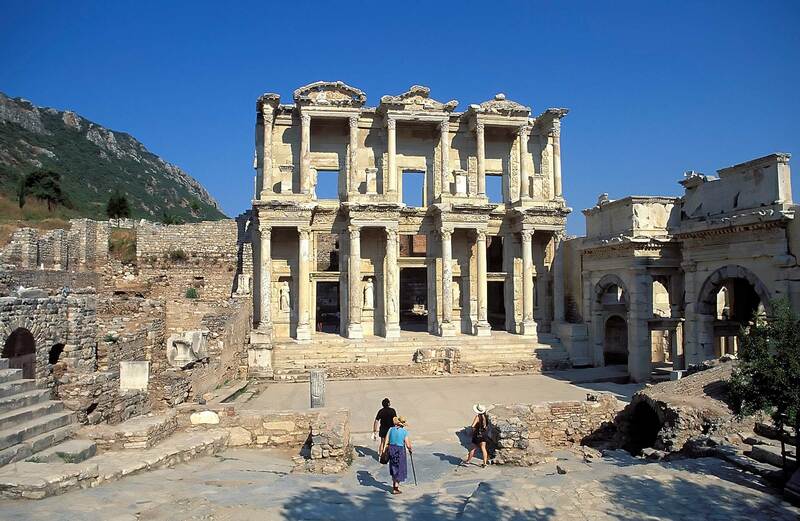 In this Pactolus Valley city famous for its wealthy King Croesus and the invention of coinage, visit the Bath - Gymnasium Complex, the marble-paved Synagogue (3rd c. AD), and the Temple of Artemis. After lunch, we continue to Pergamon*, the ancient capital of the Attalid dynasty and the place where parchment was invented. Ride a cable car to the upper city to take in the ruins of the Acropolis. In the lower city, visit the Asclepion, a sanctuary and a healing center dedicated to the god of healing, Asclepius. In the morning, depart for Assos to see the Temple of Athena overlooking the sea from the highest spot on the acropolis. We explore the Archaeological Site of Troy*, with its 4,000 years of history, is one of the most famous archaeological sites in the world. The first excavation was undertaken by the famous archaeologist Heinrich Schliemann in 1870. In scientific terms, its extensive remains are the most significant demonstration of the first contact between the civilizations of Anatolia and the Mediterranean world. Moreover, the siege of Troy by Spartan and Achaean warriors from Greece in the 13th or 12th century B.C., immortalized by Homer in the Iliad, has inspired great creative artists throughout the world ever since. 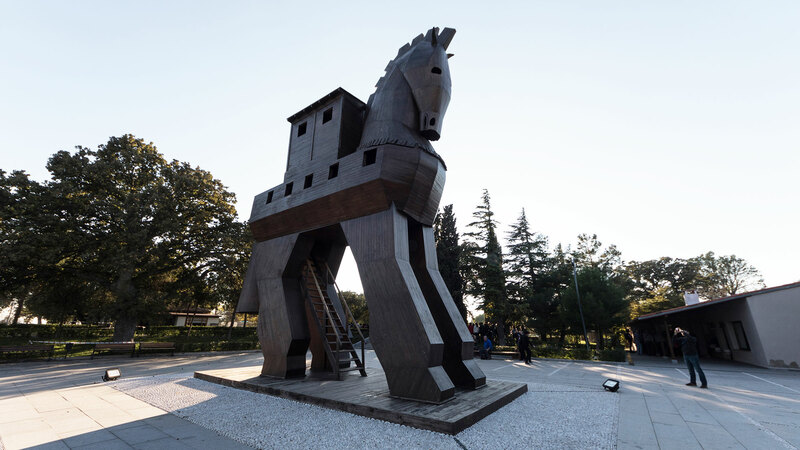 We also pose at a reconstruction of the legendary Trojan Wooden Horse at the entrance to the site. Continue to Canakkale. Ferry across the Dardanelles Strait and drive to Edirne, the Ottoman summer capital. 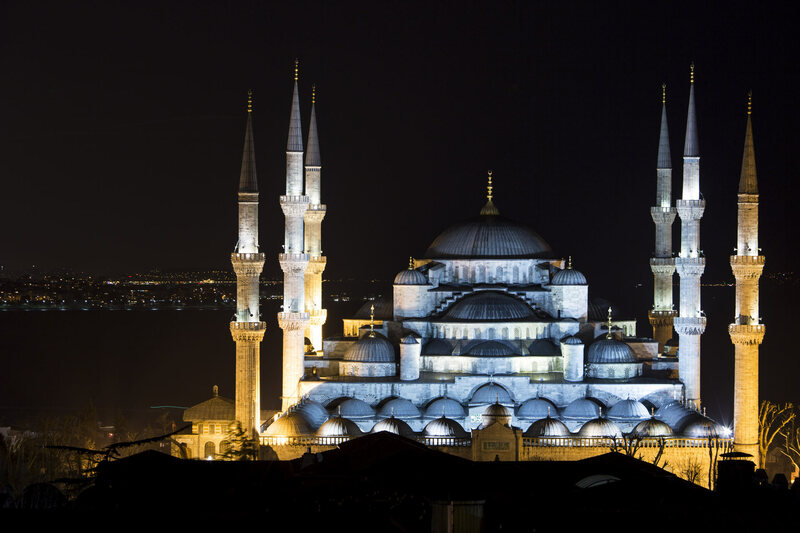 We visit Selimiye Mosque and its Social Complex*. 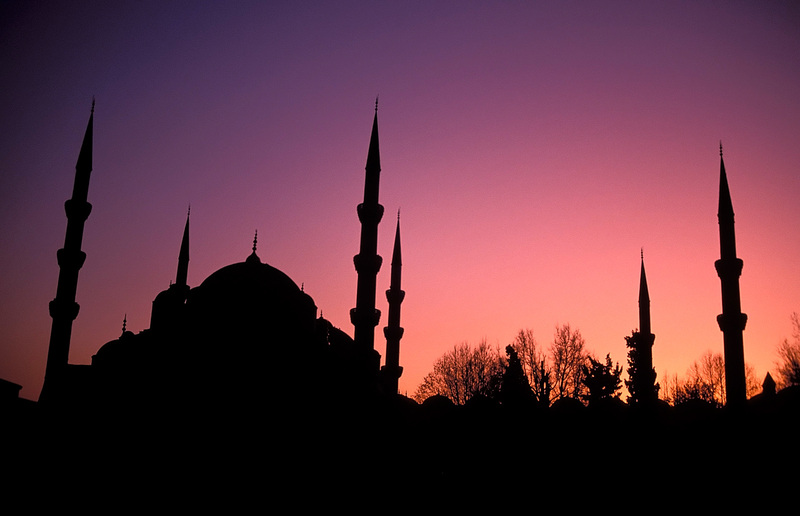 The square Mosque with its single great dome and four slender minarets, dominates the skyline of the former Ottoman capital of Edirne. Sinan, the most famous of Ottoman architects in the 16th century, considered the complex, which includes madrasas (Islamic schools), a covered market, clock house, outer courtyard and library, to be his best work. The interior decoration using Iznik tiles from the peak period of their production testifies to an art form that remains unsurpassed in this material. The complex is considered to be the most harmonious expression ever achieved of the Ottoman külliye, a group of buildings constructed around a mosque and managed as a single institution. 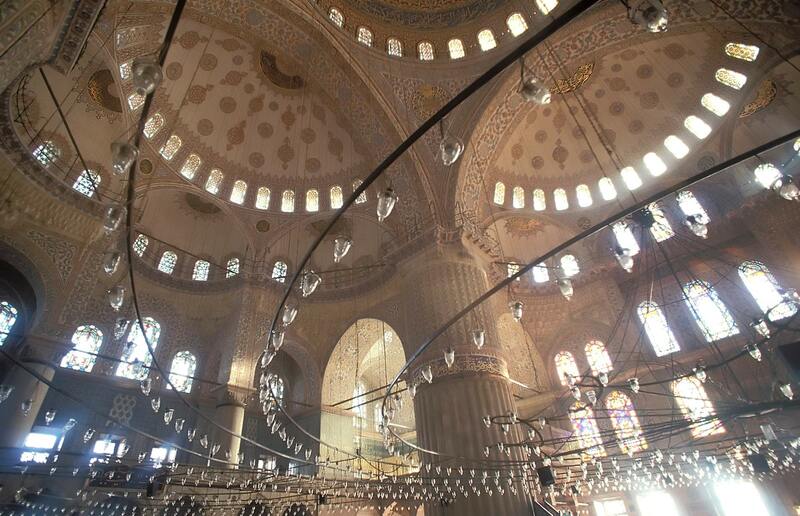 We also visit Eski Cami Mosque, Uc Serefeli Mosque and the Old Bazaar (Bedesten). Drive to Istanbul in the afternoon.